Nikon has made the time-lapse photography very easy for average users. 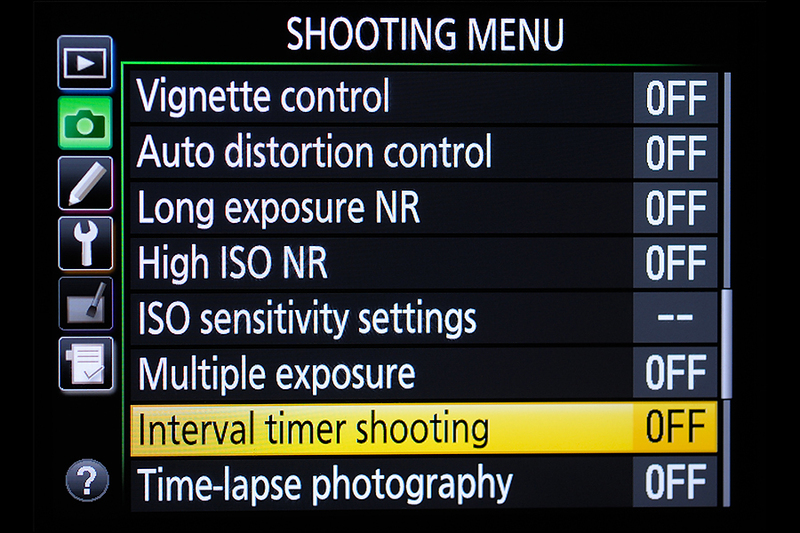 In most of the previous Nikon’s we had to use Interval timer to shot image on location and later post process them in video editing software. 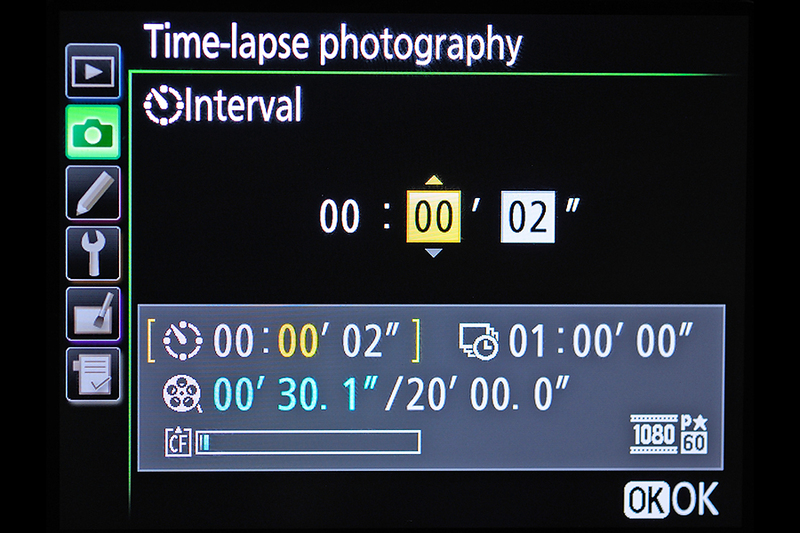 To do timelapse properly you need to set some of the camera setting right before you start shooting. Even after setting all these things right due to change in lighting condition exposure used to be variable from one image to another. People used extra third party device to fix this exposure variation. 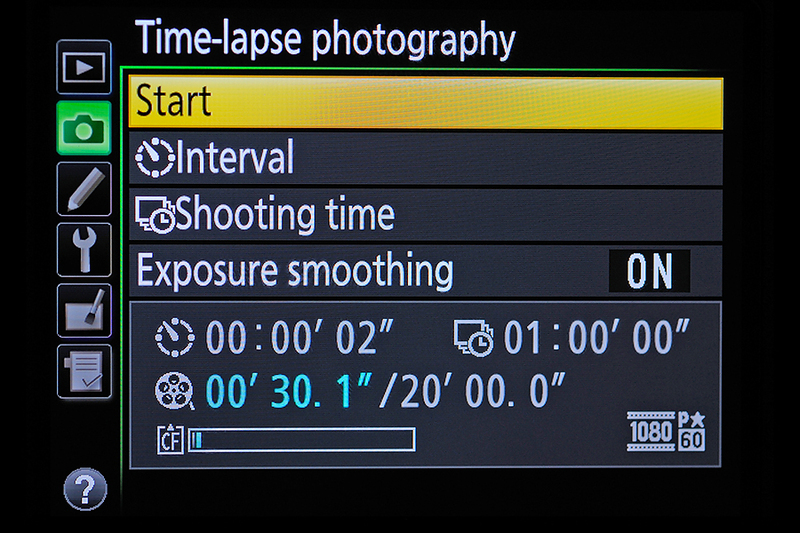 Thanks to Nikon for adding Exposure smoothing and auto ISO for Time-lapse & Interval timer photography. As a result now we can create smooth video clip even in variable lighting condition. The camera automatically calculates the proper exposure in subsequent shots to prevent flickering. If you turn on Auto ISO keep the higher ISO value as low as possible (e.g. ISO range 200 to 800) or you will get a noisy clip. Below is a timelapse photography clip created with Nikon D700 with out exposure smoothing. You can see there are some flickering as the lighting condition changes which was not intended. Nikon D810 fixes all these issues. 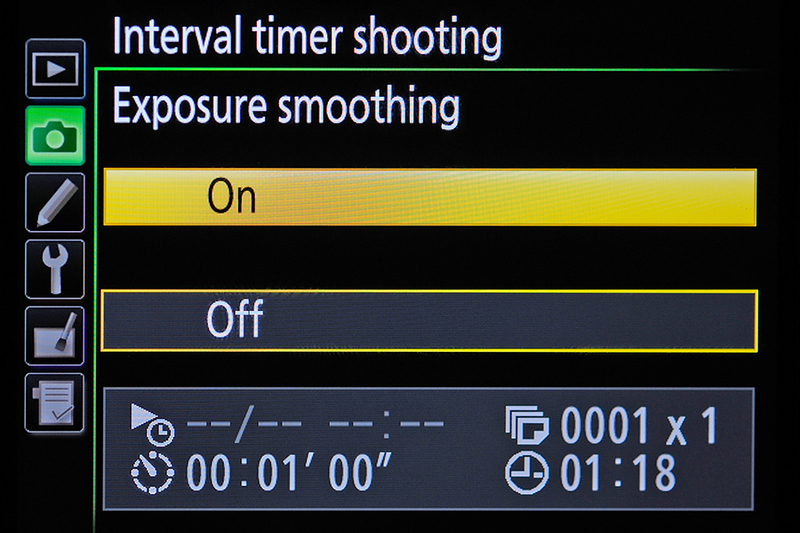 Nikon D810 has two option for Time-lapse photography. In both cases you can activate the Exposure smoothing. It works just fine. There is hardly any flickering. The transition during sunrise & sunset is very smooth. 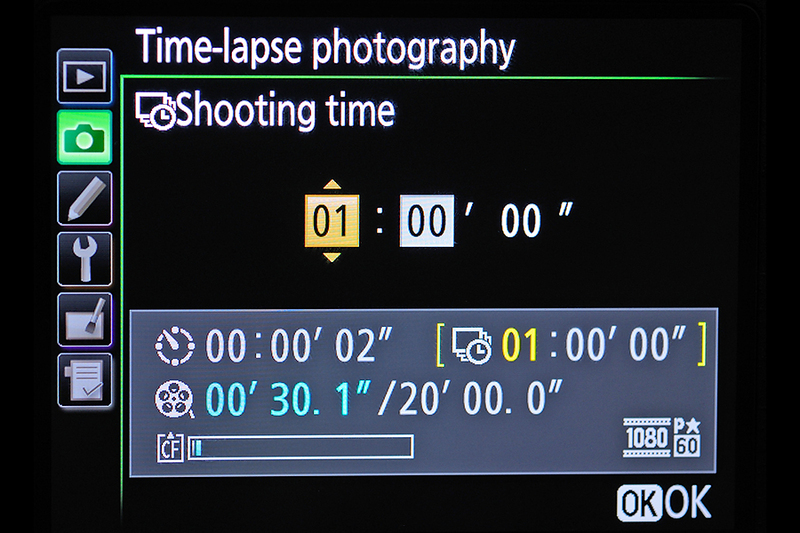 In shooting menu select the Time-lapse photography. 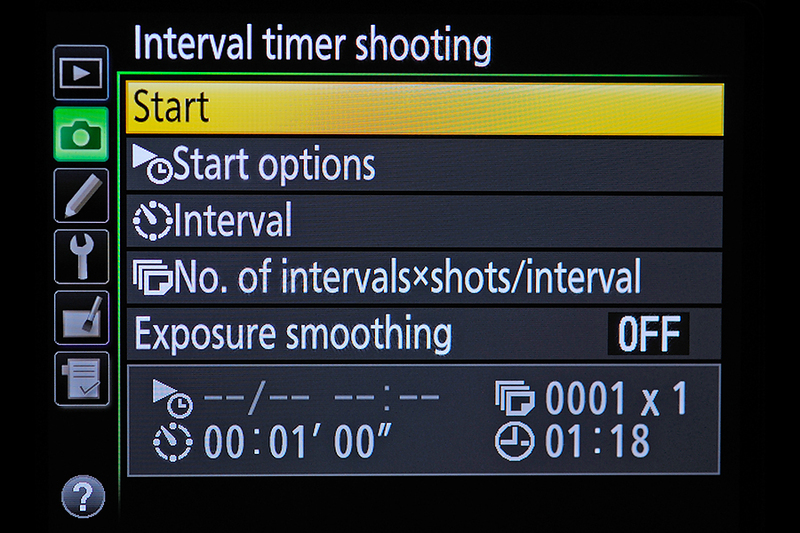 Here you need to set interval between shots and total time duration of shooting. Then click the start button. After completion of shooting the camera will automatically generate a movie clip. Camera don’t keep any jpeg or RAW file for post processing. The video quality, frame size (eg. 1920 X 1080) and frame rate ( 60/50/30) will depend on your Movie setting. Its like old interval timer of previous Nikon models. 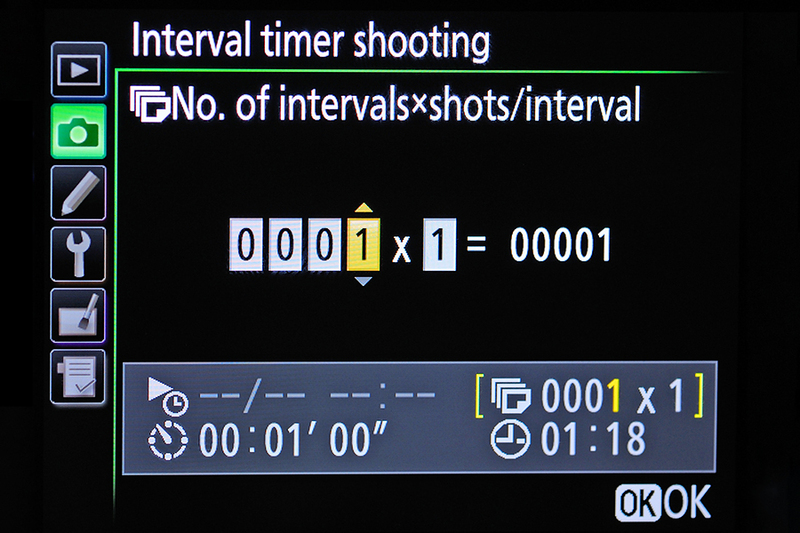 You set the interval between shots, total number of shots and number of images taken at each interval. In this case after the shooting session you can edit all the images in desktop and make your timelapse photography clip through your desired application. With this setup you have more control on your output movie compared to the previous mode. For beginners I would prefer the first method because its fun and easy. Other than the camera you need to have a very stable tripod. Slight movement or shift in focus can ruin your entire effort. Also keep in mind to check the battery status before you hit the start button, otherwise you will find the camera stopped halfway through the session. 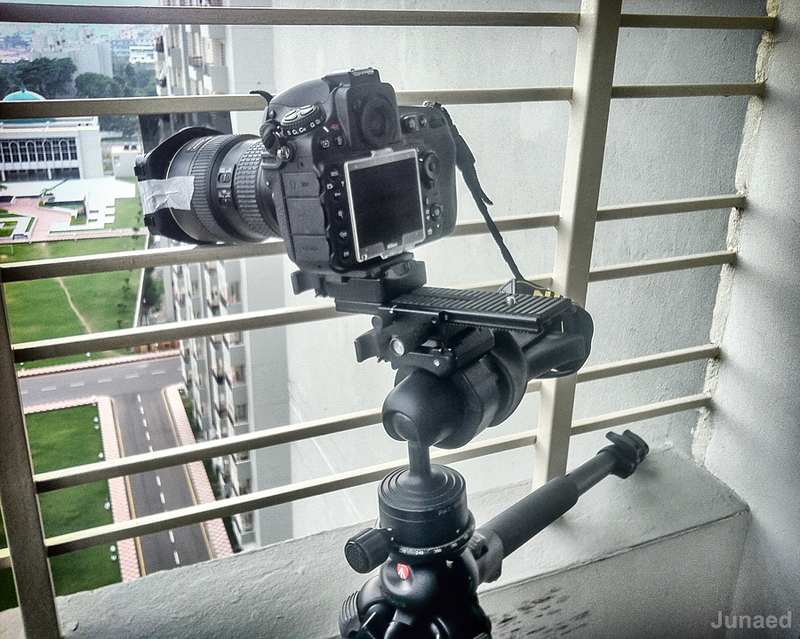 Here is my camera setup which I used to shoot the starting video of this article. It was windy so I used tape to prevent filter movement and wrapped the camera strap around tripod.